TRUE OCCULT RITUAL BLACK METAL !!! 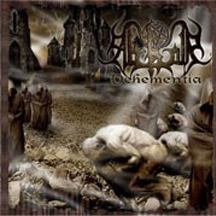 At long last, Italian black metal institution ABHOR unleash their long-awaited sixth album, “Ritualia Stramonium”. 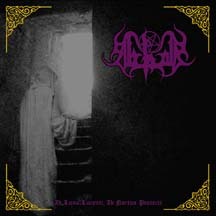 Four years since their last MORIBUND album, the critically acclaimed “Ab Luna Lucenti, Ab Noctua Protecti”, ABHOR here dive deeper into the ancient mysticism of classic black metal. Never one for trends, the trio turn “Ritualia Stramonium” into a ritualistic ride through cobwebbed corridors, skeletal forests, and melancholic castle towers. With medieval organ at the fore, “Ritualia Stramonium” isn't so much a "retro" black metal record that harks back to the mid '90s as it is something truly and authentically grounded in that era - because ABHOR have been practicing the black arts since 1995. Death to modernism, as the old ways take over once again...heed the call of ABHOR's “Ritualia Stramonium”! * Highly anticipated sixth studio album from the cult Italian band! * Excellent production from Vinum Sabbati studios! * A revival of mystical, ancient Black Metal ! * Mandatory for fans of Inquisition, Old Rotting Christ, Nastrond, Root and Mortuary Drape!